Being part of a couple’s wedding celebration is always exciting! 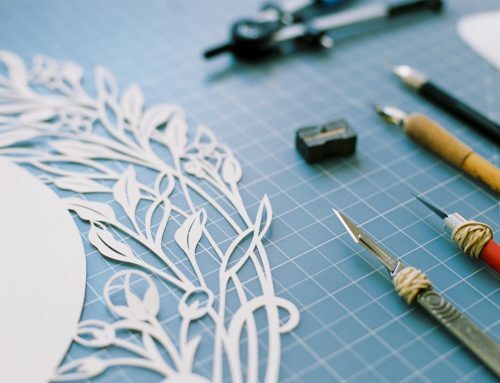 As a visual artist, what I find most rewarding is partnering with my clients to design a one-of-a-kind papercut that is both beautiful and deeply imbued with personal meaning. 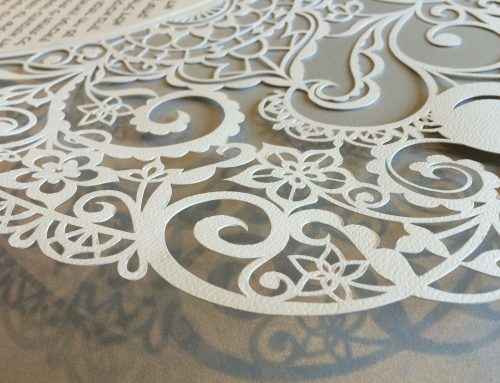 An original fine art papercut Ketubah is an opportunity for the couple to become part of the creative design process. 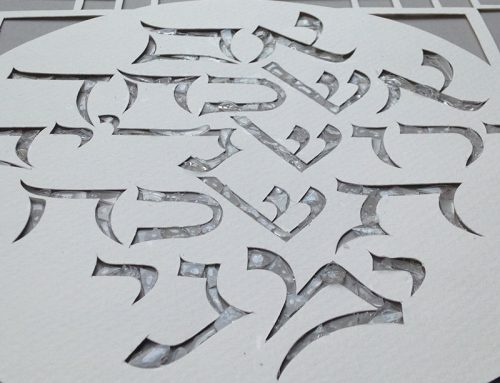 Each couple has their own unique style and vision for their Ketubah. 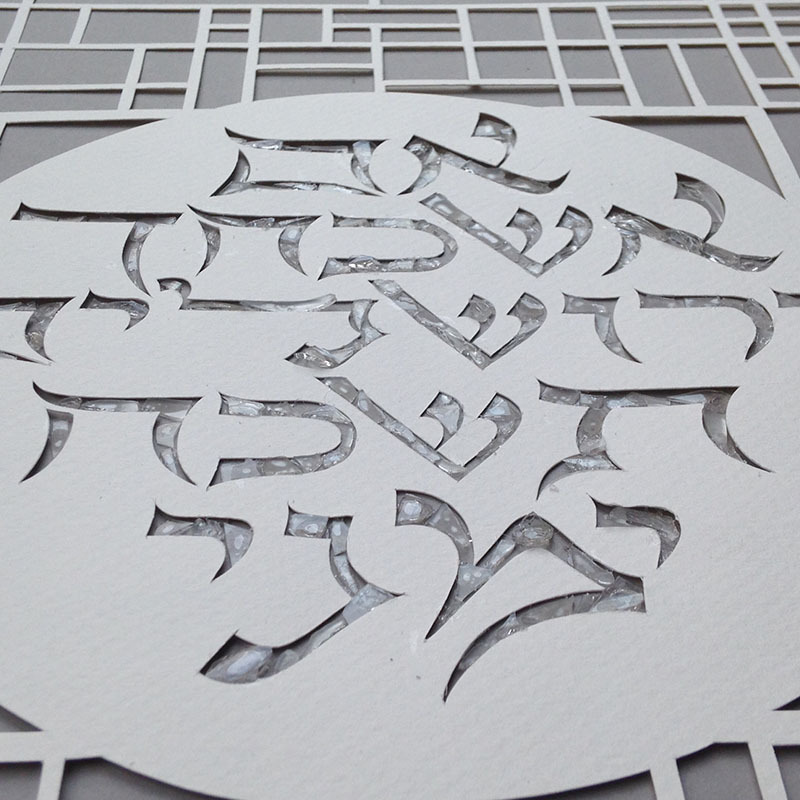 The couple that I created this ketubah for wanted to create a modern take on a historic family Ketubah. 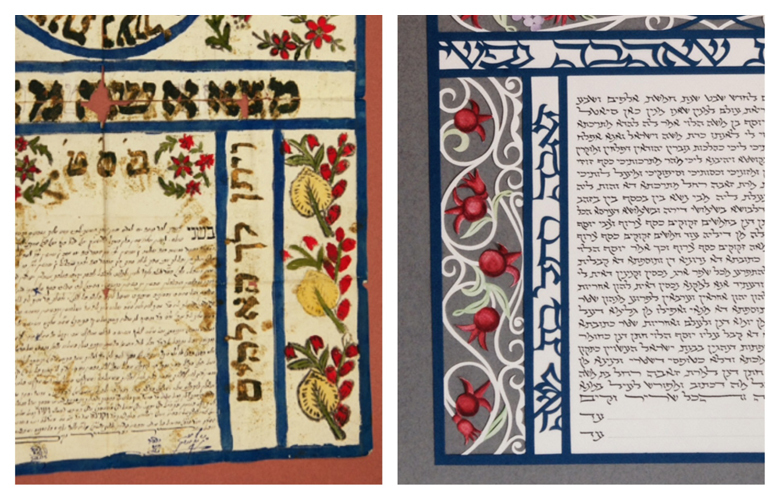 A local Jewish historian recently discovered a Ketubah from the bride’s family dated from the late 19th century Turkey in an archive collection. 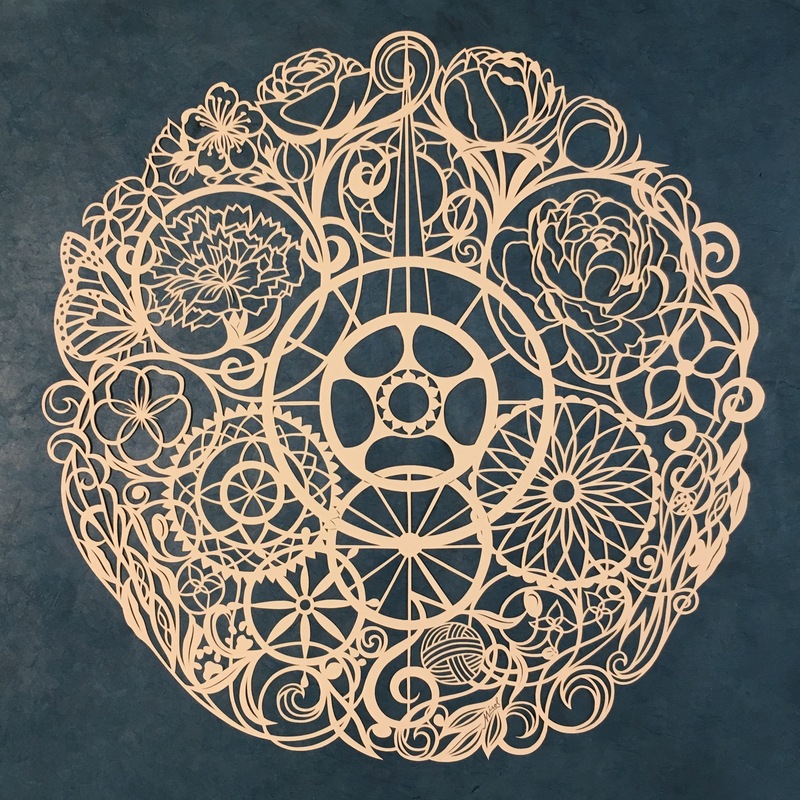 The couple wanted me to use this design as inspiration but take it in a new direction. 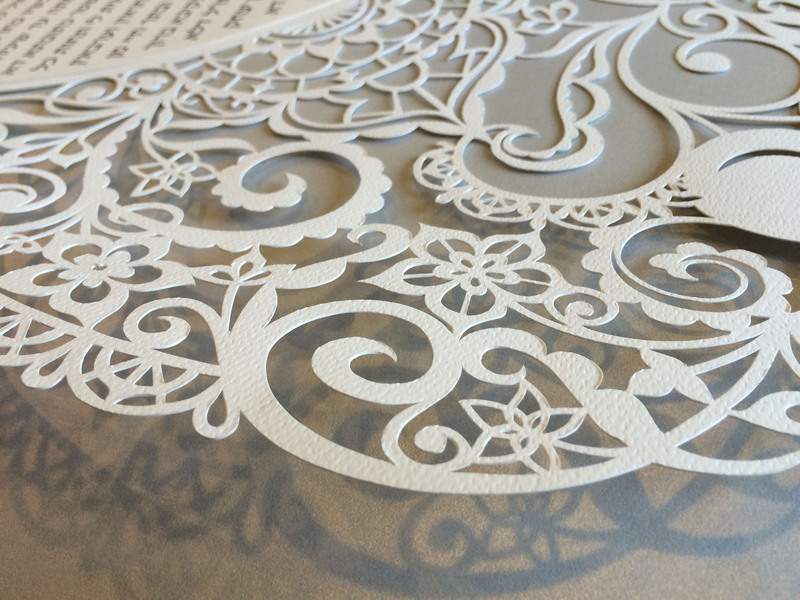 This original hand-cut ketubah can become a new family heirloom for generations to come! 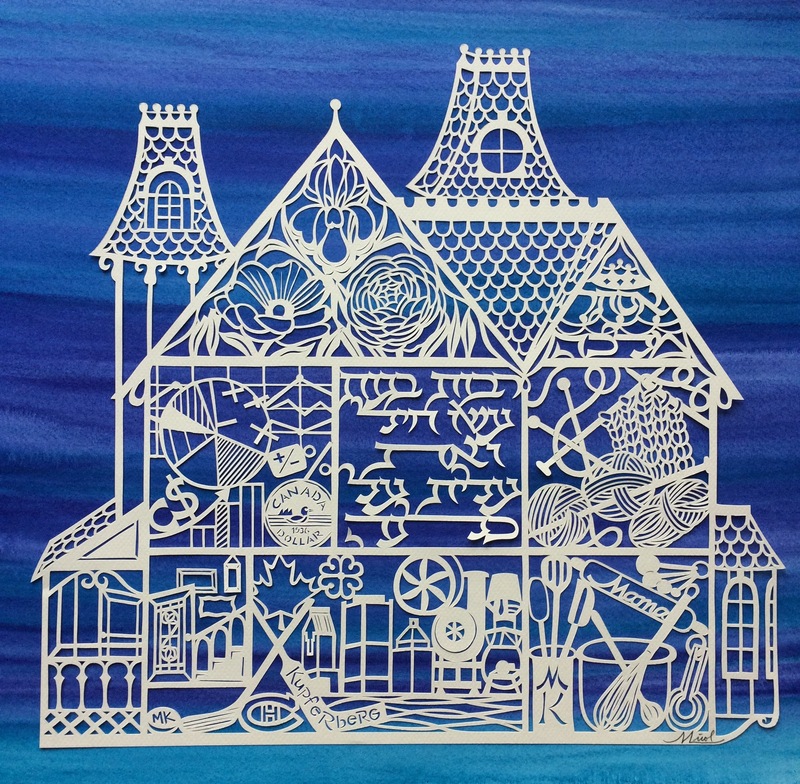 Ketubah description: The quote above the ketubah text reads: Matzati et she’ahava nafshi ~ I have found the one whom my soul loves (Shir Hashirim 3:4). In the design are pomegranates, figs and grapes ~ the fruits of the garden of Shir Hashirim. 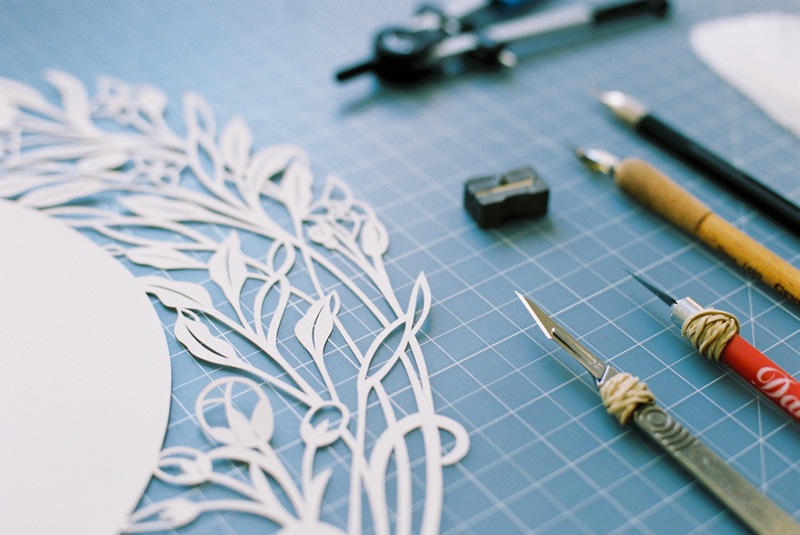 On each side are 7 pomegranates as bride and groom are each their own whole individual selves. The number 7 represents holiness and wholeness. At the top section, in the triangle that serves as a merging of the two sides are another 7 pomegranates to symbolize their continued individual lives that they have chosen to merge to complement each other and achieve true completion. 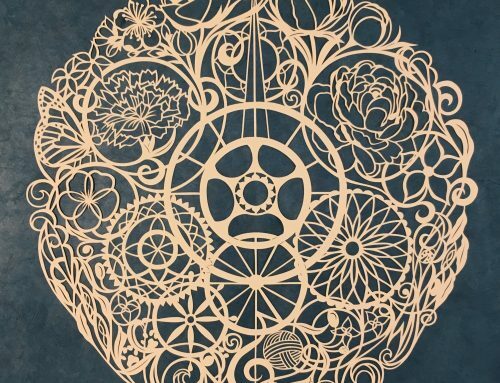 On each side of this section of the design is a single pomegranate blossom to highlight how when two individuals merge lives, they still continue to grow. The fruits in this section hold the circle which reads: Banecha k’shtilei zaitim saviv la’shulchanecha ~ may your children be like olive saplings around your table (Tehilim 128:3). The circle features 5 olives symbolizing the couple’s Children and the blending of their two families.